Buy a home with as little as $0 dollars down! Zero Down Loans with no Income Limits! Purchase Prices up to 20 Million! Who can use down payment assistance? Almost everyone qualifys for some type of down payment assistance program. 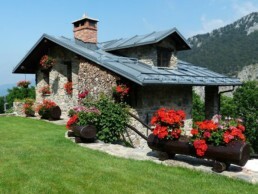 You can buy a home using city, county, state and federal resources. What if I already own a home? Many of the same programs are available for homeowners that are selling their current home and buying another. Homeowners click here to find out what program your home qualifies for. In most cases, you can get enough money to pay your downpayment and/or closing costs. Get to know a bit about us! You can learn more in our about page. DownPayment.mobi is a collection of individuals, from multiple industries, who specialize in helping buyers with a down payment assistance and zero down loans. No other group connects home buyers with real estate professionals and down payment assistance specialists who care and strive to deliver the best experience at such an elevated level. DownPayment.cool only works with qualified loan professionals who specialize in down payment assistance. It maintains, cross checks and updates information on government and private sector programs in all 50 states to help home buyers find a loan product that meets their personal needs. The community is committed to helping home buyers become aware of over 2,000 programs that can help provide a down payment, and to provide guidance and professional help to make the dream of ownership a reality . Many of the same programs are available for homeowners that are selling their current home and buying another. 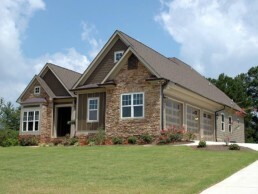 Homeowners click here to find out what program your home qualifies for. DownPayment.mobi is a community of professionals who specialize in helping buyers with a down payment. The organization is dedicated to making homebuyers aware of more than 2,400 programs that can help fund a down payment, and to provide access to this funding. DownPayment.mobi trains and certifies qualified loan professionals. It maintains and updates information from the area’s leading database of information on government and private sector programs to help homebuyers with a down payment. No other group can connect homebuyers, real estate professionals, and down payment assistance specialists with such a degree of success. What is a First Time Home Buyer? The definition of a first time home buyer differs based on who you are talking to. If you are talking to a normal buyer, a first time home buyer is someone who has never owned a home. If you are a state HFA, a first time home buyer is a buyer that has not owned a home in three years. If you are a Realtor, a first time home buyer is someone that you should want to help become a first time home owner!